How Well Do You Know Injection Mold Making? It is always interesting when people ask what I do for a living and I tell them that I am a plastic injection mold maker. The vast majority of people take on a quizzical expression and try to act as though they understand. I usually help them out by saying something about making plastic medical components that go in the devices doctors use. This answer typically elicits some story about their Uncle Pete who makes prosthetics or that their little brother worked one summer in a plastics molding factory in high school. Sometimes I try to explain what a plastic injection mold maker actually does and how it affects their daily life, but most of the time I just let the conversation ramble on. My wife, on the other hand, appreciates the level of persistence and patience required to manufacture mold components that have dimensional tolerances of .0001 in. She actually has no idea how small this is, but she has a good understanding of how it affects me on a daily basis! So she often chimes in with some anecdotal story to illustrate something of what we do. 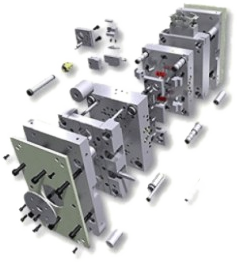 Injection mold making is now called injection mold manufacturing, or so I have read. This is an accurate description of the process, now that advanced technologies have taken over nearly every aspect of the mold building process. The old ways of individual craftsmen designing and building each and every component are basically a thing of the past. Of course there are still highly skilled craftsmen who do amazing things with their minds, hands and machines, nevertheless it is the computerization of everything that lies at the heart of this change. 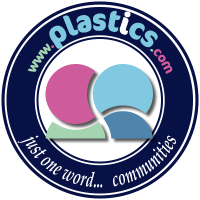 Given the incredible complexity and close tolerances of a typical plastic part produced in today’s clean, well-lit and quiet factory, it comes as no surprise that there is simply not enough time for one mold maker to do everything required. Lead times are much shorter than in the past, even for large, complicated tools. We will examine many of the primary processes involved, with an eye on the past and present. Remember those drafting boards and slide rules? I haven’t seen either in years, yet, not that long ago, both were found in every mold design department in the world. It would be interesting to see a display of some of the amazing things designed using these tools. As I recall, it was the TI55 calculator that started changing how numbers were crunched. Instead cumbersome charts and graphs you could now do trigonometric calculations by pressing just a few keys on the calculator. The slide rule vanished nearly overnight. The big question in trade schools was whether or not students should be allowed to use the calculator in tests. The legitimate fear was about understanding the problem solving process versus just getting the answer on the calculator. My school took the approach of compromise; yes, it could be used for classroom and homework, but not for tests. I have no idea how long that approach lasted, but I’m sure it was not long. Eventually the desktop computer arrived and soon companies were producing CAD programs that were truly amazing in their power to create 2D and soon-to-follow 3D renderings. No more erasers, pencil smeared pages to deal with; now you could edit to your heart’s content and design the same mold in a fraction of the time. Tedious math calculations could be done in real time, effortlessly and accurately. One of the biggest advantages of the new CAD system was that design changes were integrated, meaning that a change in one view was automatically done in every other view. Two of the first CAD programs were the French UNISURF and MIT’s Sketchpad. These programs truly started the revolution that is still in a state of constant improvement and innovation. Once the mysterious black art of the mold making process, EDM has developed into a highly sophisticated and predictable machining process. Powerful software, highly accurate positioning mechanisms, advanced dielectric oil and specially developed electrode materials all come together to make the EDM the workhorse that it is in any injection mold making operation. The old school approach of a mold maker designing and manufacturing every electrode for an entire mold has vanished with the new approach. Today’s graphite, copper or copper/tungsten electrodes are produced in high-end CNC machining centers designed specifically for this purpose. I know I saved that electrode, where the heck is it? Back in the day, mold makers kept the electrodes on their workbench until the mold was finished and the plastic part was approved by the customer. Then, these “stick” electrodes (so called because each one was machined on a custom piece of graphite or copper whose shank resembled a stick) were stored in little boxes on a shelf somewhere in the event that they might be needed again. I don’t think I can recall every digging one out of storage to reuse it, but it must have happened sometime or other. The old New Jersey made Eltee Pulsitron manual EDM machines were the go-to machine because they were reliable, accurate and predictable. Similar to the drafting boards, it would be interesting to see what sort of products have been produced using one of these vintage machines. These days it is the Swiss and Japanese who dominate the high-end market for EDM machines, for both Wire EDM and Sinker EDM. Some leading companies include Agie/Charmilles, Sodick, Mitsubishi, and Makino. There are many other fine machines available, all at various price points and with various features. With EDM tooling such as System 3R and Erowa it is possible to keep and EDM machine running for days or weeks at a time. Initially, the tool changers managed the electrode changing, now it is commonly done using robotic arms to change both workpiece and electrode. With proper planning and execution you can even use the robot to move the electrode from the CNC mill to the CMM for inspection and finally to the Sinker EDM for use in the mold component. The Wire EDM has had a similar development, with greater efficiencies and accuracies being achieved every year. Steeper angles and finer finishes are now possible, while maintaining fast cutting speeds and reduced wire consumption. It is common to use a wire as small as .004 in. diameter for the machining process. Imagine automatically threading a wire that small into the guides on the machine, how do they do that anyway? How can that tiny wire cut hardened tool steel and not break? After all, a human hair is the same diameter as the .004 in brass wire used in the wire EDM machine. Ask any injection mold maker if they appreciate the WEDM and you will get a resounding “Yes!” for an answer. 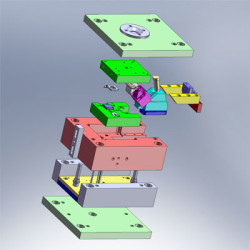 Mold components such as lifters and core pins are routinely made in the WEDM, saving the milling and grinding department many headaches. For a machine tool once regarded as useless in injection mold making, the WEDM has proven to be in irreplaceable part of the process. 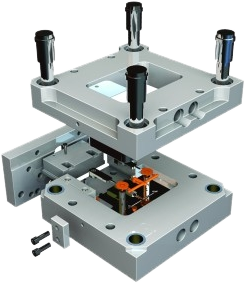 As mold making transforms into mold manufacturing this tool will certainly continue to play an ever increasing role. In 1978, when I was beginning my formal apprenticeship, all the screw, dowel, ejector pin and core pin holes were done on a manual drill press. We didn’t even use any clamping method to hold the workpiece, just a Heinrich vise and our strong grip. The hole locations were laid out with a combination square, scale or height gage with a scriber attachment. The amazing thing is how well this worked. Rarely was there a problem with the holes. The worst holes, however, were deep holes because the drill would wander, leaving a very crooked hole that typically was discovered during assembly. The ejector pin clearance holes in a “B” side ejector plate were the main culprits, which was a terrible thing to discover at the 11th hour. Thankfully those days are long gone and I haven’t even seen a drill press in years! The CNC milling machine appeared in the form of 2D Bridgeport milling machine attachments and overnight this transformed the way holes were located and drilled. No more counting .200 in revolutions on the Bridgeport and compensating for backlash; this was living! Today we have 5 Axis milling machines that machine 5 sides of a workpiece with astounding speed and accuracy. Almost every hole and contour can be done in a single set-up, quickly and accurately. High speed milling and hard milling can enable the modern mold maker to achieve fine surface finishes that eliminate or minimize hand polishing. Parting lines can be finished in the hardened state, often saving tedious and difficult surface grinding operations. Dowel holes can often be finished, cutting down on jig-grinding times or WEDM finishing. Thankfully, graphite electrodes are now almost exclusively made using specialized high speed graphite milling machines, complete with dust removal vacuum systems built in to the machine tool. The worldwide market for CNC milling machines is immense, with literally dozens of companies producing any type of machine you might need. Makino, Sodick, Deckel-Maho, Mori-Seiki and Mikron are just a few of the leading brands available. 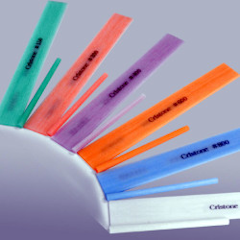 How many coatings are there for carbide cutting tools? My grandfather’s Rex brand lathe cutting tool was a delight to inherit, but it is no match for the highly engineered carbide cutting tools used today. There is a seemingly endless array of substrates, coatings and geometries on the market, each one better than the last. These innovations are driven by need. Exotic steels, complex geometries and nearly impossible cutting conditions are typical drivers of this ongoing development. Mold makers are always looking for ways to improve their performance, and carbide cutters can make a significant difference in the machining process. Given the fact that most of the world’s tungsten carbide is found in China, it comes as no surprise that companies such as Sandvik, Mitsubishi, OSG and Iscar develop new insert geometries and carbide tooling to reduce the need for carbide. These companies also have recycling programs to offset the ever-increasing cost of carbide inserts and solid end mills. Just consider how much waste a solid cutter represents when the cutting edges are worn and the tool is discarded. The regrinding of end mills seems to have fallen by the wayside lately, possibly due to the demand for custom geometries and accuracy. 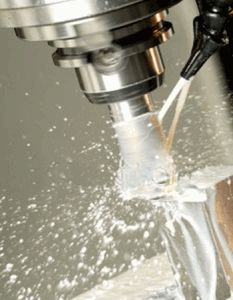 Is Precision Surface Grinding A Dying Process? One day I discovered that I was now one of the old timers. It was truly weird; one day I was just me and the next day I was an expert. How did I know this? It all happened when we took on several mold making apprentices. I had not even seen an apprentice in decades, literally, when we suddenly had 3 wet-behind-the-ears young men to train. This was interesting for me because the boss selected me as one of the trainers. Hence, the old timer/expert title. It has been two years since this training began and only one of the young men appears to have what it takes to do precision surface grinding. This is not as bad as it would have been before WEDM and hard milling because so much grinding work is now done by these two processes. Nevertheless, it takes many years to gain the intuitive skills required to consistently grind intricate mold component details to .0001 in accuracy in a timely manner. It will be interesting to see what happens in the next 10 years as all the old guys retire. Good luck! I don’t know who coined the phrase “mold manufacturing”, but it certainly fits. If you think you understand injection mold making from the old vantage point, take a good look at a successful, modern shop and you will see things differently. On the other hand, if you think you don’t need the old skills because the new technologies have replaced the tried and proven methods from the not-so-distant past, think again. 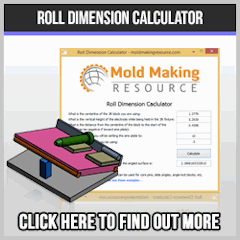 The Moldmaking Resource is a great place to find relevant information for injection mold making, designers and maintenance workers to do a better job. In today’s fast paced and ever-changing world of plastic mold making, if you do not adapt you will become obsolete very quickly. These simple injection mold design tips will increase your chance of success in every way. Ahhh, how to keep mold making costs low; that is the question everyone in the injection mold making industry is wondering. Sometimes it seems that, no matter what you do, costs just keep increasing. Mold Making Resource is dedicated to helping individuals and companies to do a better job more efficiently and thus prosper in a very competitive environment. We have gathered some expert advice on mold making that will hopefully achieve our goals, and continue to add how-to articles regularly. Read up on the best methods for developing and maintaining a strategy for managing and storing industrial supplies for injection mold making.